When I switched from Whaler’s Dark Rum to Kraken Black Spiced Rum the popularity of this drink went through the roof! I’m not really sure if Kraken is that much better than Whalers, or if people just really like putting on fake Scottish accents and saying Kraken! really loudly. Either way, the Kraken makes it! Finish with whipped cream on top. Chocolate whipped cream is a nice touch! Increase or decrease the amount of rum. Or for non-alcoholic, just skip it. Increase or decrease the amount of maple syrup. For vegan, replace whole milk with soy or almond milk. 170°F / 77°C – Some people, my mom for example, like it really hot! 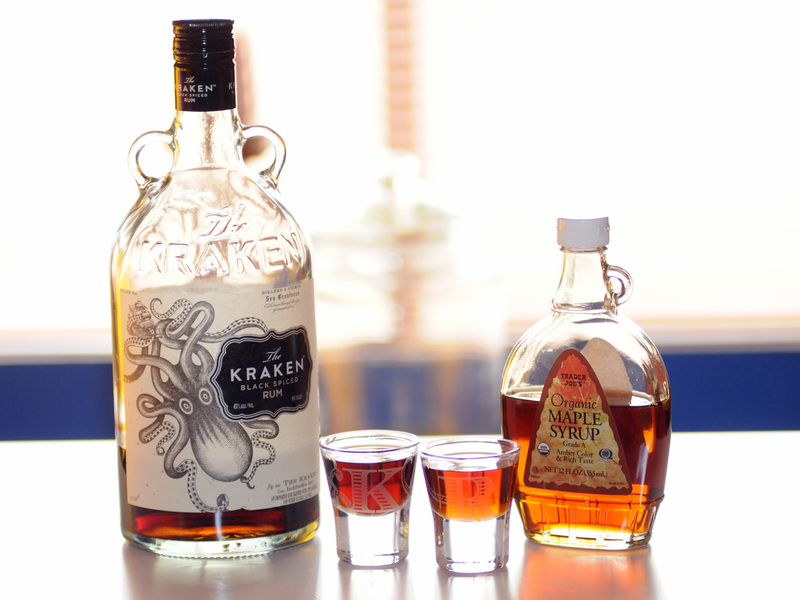 That Kraken spiced rum is pretty darn yummy…. Which Wendy is this, the one that doesn’t drink?